As a homeowner, you want to protect it from damage. One of the areas of a home that can cause a homeowner headaches, is the basement. Keeping a basement dry can be one of the most frustrating things that a homeowner can experience. A sump pump system can keep a basement dry by pumping the water away away from the foundation. Making sure a sump pump runs effectively is important. However, there are times when a sump pump fails. To prevent a flooded basement, call the experts at Rapid Foundation Repair and let us take a look as to why your sump pump is not working properly. 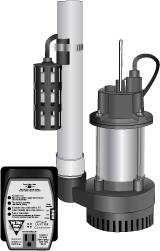 We will offer the best solution for your sump pump repair or replacement needs. Whether your sump pump is simply in need repair or if you are in need of a new system, we will do what is best for you. 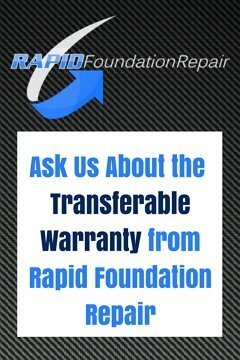 If the professionals at Rapid Foundation Repair find that you are in need of a new sump pump, we offer only the best in the industry. The pumps and equipment we use are manufactured by Earth Contact Products (ECP). The primary pumps are from 1/3 to 1/2 horsepower and can pump up to 5,000 gallons per hour. We also offer battery back up pumps that will give you peace of mind if the electricity would go off. These battery back up pumps are the most energy efficient lineup of 12 volt backup pumps on the market today. They have high pumping capacities along withhigh energy conservation. This line of sump pump will save you money in the long run by maintaining the value of your home and protecting your possessions from water damage. Whether you are in need of sump pump repair or replacement, let the experts at Rapid Foundation Repair protect your home from water damage. We have the experience and products to make sure your water issues are taken care of and keep your basement dry for many years to come. Don’t hesitate to call us at the first sign that you may be in need of sump pump repair or replacement.